This is an outreach program of MarineParents.com. The mission of our Travel Assistance program is to support Marine Corps recruits by assisting one of his/her family members who shows significant financial need, to attend boot camp graduation events so the Marine is not alone. If you need help with travel expenses for graduation or if you would like to learn more about how our Travel Assistance program works, please visit MarineParents.com/TA. We have been serving the Marine Corps and recruit family community for more than fifteen years. 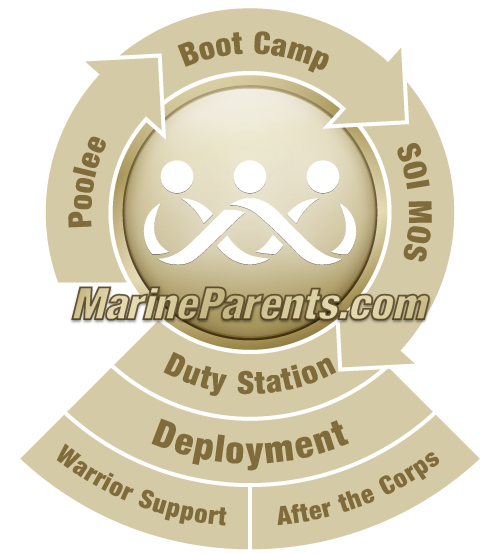 MarineParents.com Travel Assistance raises funds for each boot camp Company every cycle. We keep each group updated as our goals are reached and applicants request funds. These fundraisers are posted in our Official MarineParents.com Facebook groups for each boot camp company. This allows the members of our Facebook groups to assist other recruit families hoping to attend their soon-to-be-Marine's graduation. Click here to see photos and stories of families that we have helped travel to boot camp graduation. If you would like to assist others with travel expenses, make a donation through our secure website. Below are links to the fundraiser pages for the MarineParents.com Travel Assistance program for each boot camp company. We are an IRS-approved 501(c)(3) public charity doing business since January 2003. As of February 2018, we have our own program and no longer do fundraising for other graduation foundations or programs.